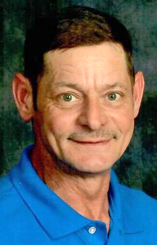 John L. Mossburg, 57, of Liberty Center, passed away Friday morning, Nov. 2, 2018, at his residence, surrounded by his family. John was born on April 8, 1961, in Wells County to Robert and Frances (Macklin) Mossburg. He graduated from Southern Wells High School with the class of 1979. John followed his passion of farming his entire life, along with manufacturing and welding. He grew up attending the Liberty Center United Methodist Church. On December 6, 1980, in Liberty Center, John and Christine (Smith) were married. Survivors include his wife, Christine of Liberty Center, along with children, Jacob L. (Michelle) Mossburg of Montpelier, Jennifer (Chazz) Shrader of Hartford City, Laura (Dennis Wiles) Mossburg of Wabash, and Mark L. Mossburg of Liberty Center, along with eight grandchildren: Clayton, Kynlee, Tess, Tarra, Chloe, Carson, Myles and John. John is also survived by a brother, Rod (Deb) Mossburg of Liberty Center. He is preceded in death by parents; two sisters, Sharon Mossburg and Cindy Richardson; and two brothers, Randy and Mark Mossburg. Funeral service will take place at 10:30 a.m. on Monday, Nov. 5, at the Thoma/Rich, Lemler Funeral Home in Bluffton. Pastor Diane Samuels will officiate. Burial will take place at Mossburg Cemetery in Liberty Center. Calling Hours will be held from noon to 8 p.m. on Sunday at the funeral home and for one hour prior to the service on Monday. Memorials may be made to the Liberty Center United Methodist Church.